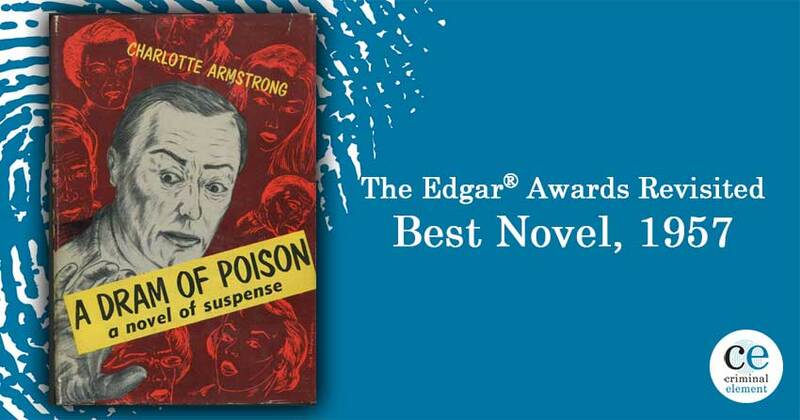 We're revisiting every Edgar Award winner for Best Novel, and up next is 1957's winner A Dram of Poison by Charlotte Armstong. Ardi Alspach reviews. The year is 1956, and let us set the scene: Elvis Presley enters the US music charts for the first time with Heartbreak Hotel, and later in the year, his magic hips appear on the Ed Sullivan Show for the first time; Ninety-six U.S. Congressmen sign the Southern Manifesto, a protest against the 1954 Supreme Court ruling, Brown v. Board of Education, that desegregated public education; My Fair Lady opens on Broadway; Grace Kelly becomes a princess by marrying Rainier III, Prince of Monaco; after the Montgomery Bus Boycott, begun by Rosa Parks’ refusal to sit in the back of a bus, the U.S. Supreme Court rules Alabama’s racial segregation laws for buses unconstitutional; McCarthyism was still alive and with the machinations of The House Committee on Un-American Activities; Marilyn Monroe marries playwright Arthur Miller; Eisenhower creates the Interstate Highway System; “In God we trust” is added to the U.S. national motto; Allen Ginsberg’s Howl and Other Poems is published, establishing itself as a key work of the Beat Generation. 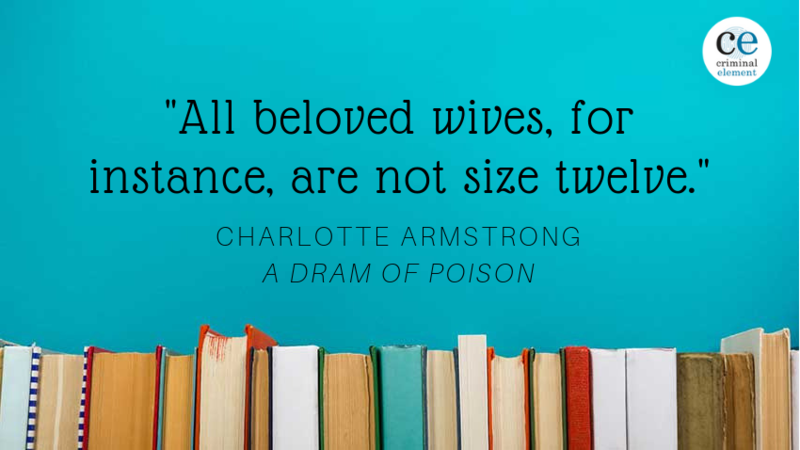 And, of course, Charlotte Armstrong’s twelfth novel, A Dram of Poison, is published, and, in 1957, wins the Edgar Award for Best Novel. Sixty-three years later, I am here, attempting to pull back an edge of the veil of time and take a good, hard look at A Dram of Poison and consider both the historical context in which it was published as well as to determine if this award-winning novel holds up today, in 2019, in which cultural mores are very different than they were back then. Or so we like to imagine. Nothing is more illuminating of what exactly has changed in our society over this span of time, and what has remained the same than to read a novel of that time long ago with open eyes. And A Dram of Poison is illuminating indeed. Mr. Kenneth Gibson is a 55-year-old man, content with his bachelor’s life in 1955. He ponders over his years, a veteran of both World Wars, now a professor of English teaching courses on his life’s greatest passion — poetry. But his peaceful, solitary life is dramatically changed when he meets Rosemary James at her father’s funeral. She’s quite alone herself, it seems, as no one has sat with her or come to comfort her through the whole service, something Mr. Gibson only notes too late to do anything about. He curses himself for his excess of empathy, something he calls a weakness, which is very telling for the time period’s observations of emotions and gender, as he feels compelled to make up for her loneliness by offering to go through her late father’s papers to see if there’s anything that might be worth publishing, as he was once an academic as well, and known to Gibson through their mutual work at the college. It is through this experience of visiting with Rosemary three days a week that he discovers just how lonely she is. The Jameses lived on the first floor of an old house near the campus. The moment Mr. Gibson entered the hall, he received the news of poverty and decay and a sense of darkness. If this place had ever had any colors, they had now all faded down into a uniform muddiness that defeated light. Thin and wan, of dull complexion and duller hair, it seems Rosemary’s physical health has been marred by taking care of her dementia-addled father for so long that she’s never really had a life of her own. Adding to that is that she’s left without any money or a place to live. The lease is up on her and her father’s apartment, and she has no job prospects, or any hope, really. Mr. Gibson, twenty-three years her senior, feels that their quest for publishing something of her father’s has perhaps given her too much hope, and his guilt is perhaps the overriding factor in what comes next — a marriage proposal. In the mid-1950s, there weren’t many prospects for single women on their own. Yes, women did work, but it was more expected that they would stay home, marry young, and keep house. Mr. Gibson is fully aware of this, and, surprisingly, he’s not offering her marriage for his own sake but rather for hers. His offer is more of a business arrangement than an act of romance, and that, in itself, is telling of his character. He wants nothing more than for Rosemary to be healthy and happy. And he can’t imagine another route to it for her during this time period. As a reader, I was hoping more that he’d offer her a job, to be quite honest, but what he instead offers her is security AND freedom. He doesn’t press her to promise to be with him forever. To both of them, this is a temporary solution to her lack of housing and income. He is sure that once she is healthy again, she’ll find a job and establish herself more fully in society, an opportunity she never had while caring for her father. Five weeks later, Rosemary is better. She’s laughing for the first time in perhaps what has been a long time, and her hair and skin and posture have improved greatly. And Mr. Gibson is both ecstatic at her recovery and also a little afraid. He worries he no longer knows this woman to whom he’s given his life and home. And this is perhaps where a modern reader might roll her eyes and exclaim at him for ever presuming to know her at all in the first place. But wait, friends. There’s more. To celebrate her good health, Mr. Gibson insists on taking Rosemary out for a very nice, expensive dinner in town. It’s a beautiful moment between these two lonely souls, full of the kind of laughter that one can’t explain beyond the fact that it’s just good to laugh, even at nothing, and to feel a certain companionship in it. As they drive home in the fog: “The big old car went steadily. The world was invisible ahead of them and vanished behind them. They were nowhere, and yet here. Together and only ten miles from home.” The feeling of the world disappearing except for the two of them sparks romance in such simple, yet evocative language. It’s quite clear that Mr. Gibson has started falling in love with his wife, but does she feel the same? Before he can find out, a car comes hurtling out of the fog towards them, and Rosemary swerves to avoid it but doesn’t make it out of the way in time. It’s a horrific crash as the oncoming car collides directly into the passenger side, where Mr. Gibson is sitting. And for the second time in his life, Mr. Gibson’s entire world is turned upside down. But it’s not the crash that changes everything. It’s his entreaty to his sister, whom he hasn’t seen in ten years, to come and help care for Rosemary. She’s come out of the accident without a scratch, but he’s afraid that she’ll be too alone in their house while he recovers in the hospital. And the housekeeper keeps herself rather distant. No, Mr. Gibson worries for Rosemary, and in his love for her, he is more concerned about her well-being than his own. Enough to call for his sister Ethel, a move that almost dooms them all. Well, friends, where two’s company, three’s a crowd, and Ethel, a spinster at forty-five, is a crowd all on her own. Ethel’s language throughout is rather insidious, actually. As another character later on describes, “Oh boy, you know, that’s Ethel’s trouble, right there? She starts out with ‘some,’ slides into ‘many,’ and don’t notice herself skidding right off the rails into ‘all.’” You see, Ethel’s a bigot. And it’s rather cunning of Armstrong to include bigotry and hatred in this way, in an era where racial segregation is coming to a violent end. Ethel, suspicious of the foreign housekeeper because “they always steal” and haughty about teenagers because “They like to think they are pretty deep.” And blonde women, don’t get her started there. And young women, women like Rosemary, only prefer younger more virile men than Mr. Gibson. Men like their widower neighbor, Paul. And Mr. Gibson, who has only wanted for Rosemary to be healthy and happy and free can’t see any way for her to be those things while still married to him, a man who will age while she remains hail and hearty. A man she’ll be doomed to care for the same way she was doomed to care for her father. And Paul, a Catholic, wouldn’t be free to marry Rosemary if she and Kenneth Gibson divorced. There’s only one way out, Mr. Gibson thinks…suicide. Fortunately, the solution is in sight. Paul is a chemical engineer, and Mr. Gibson just happened to once observe him locking away a bottle of deadly poison in his laboratory. It’s only a matter of talking himself past the secretary to get to it for himself. And he has the idea to empty a small bottle of olive oil to use to carry a bit of the poison away without the whole bottle going missing and causing alarm. He’s clever, he thinks. But he’s also deeply depressed and dissociative during his bus ride home. And when he gets there and girds himself for death, he discovers that he has lost the bottle. This, friends, is where the mystery begins. But it’s more than a mystery. 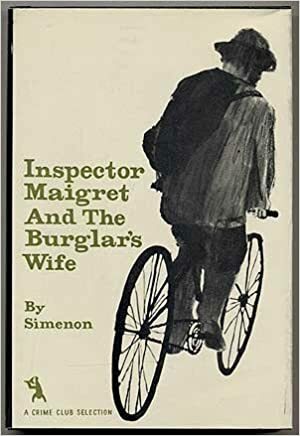 It’s a path towards redemption as Mr. Gibson first calls the police to report his own theft and the loss of the bottle for fear that someone will mistake it for the olive oil it claims to be on the label and use it. And Rosemary, fortunately, comes home just in time to overhear. Together they retrace their steps, and the story picks up in pace immediately. But without this rather slow introduction to the two of them and their relationship with Ethel, the contrast of the second half of the novel wouldn’t be nearly so compelling. In their travels, the two of them pick up quite a cast of characters as they go to the marketplace where Mr. Gibson had stopped to by Ethel’s dinner ingredients and a favorite type of tea of Rosemary’s and then to the bus he was on where he suspects he left the paper bag with the little bottle of poison in it. But alas, no luck. Each new character adds a new twist that leads to another passenger on this rather wacky ride around town trying to find this missing bottle. But it’s not really about the bottle at all. It’s about why Mr. Gibson was going to commit suicide, a question every new person added to this troupe asks, and a question he manages to dodge until the very end, all the while each person discovers, rather humorously, all of the very wrong stereotypes Ethel has been spouting as truths until they come to the crux of the matter. Ethel’s bad seeds of doubt that she’s placed in both Rosemary and Mr. Gibson until they’ve come to this point of serious and nearly deadly unhappiness. It’s a reminder that words have power, and uninformed opinions spoken as truths can be weaponized, whether intentionally or not. And that convention is not a law and can be bucked. A fifty-five-year-old man can love for the first time, and a thirty-two-year-old woman can love him back (which I imagine was a MUCH bigger deal when this book was published in 1956 — my own parents, still together and 16 years apart in age, were a bit of a scandal themselves when they married in 1972) not because he’s the sexiest man but because of the depth of what he can offer beyond the physical. Which reminds me of the funniest moment in the whole novel as Mrs. Boatright, one of their new friends, agrees with Rosemary’s proclamation for unconventional love: “‘…the race could not endure. All beloved wives, for instance, are not size twelve.’ She rocked a little indignantly on her great haunches.” (For context, Marilyn Monroe wore a size twelve in 1955, and the modern size equivalent, given how much it varies among brands, could be anywhere from a size 00 to a size 8). And though the book is a lighthearted romp as Rosemary and Mr. Gibson chart their own course in life together, one can’t help but also be aware of how the death throes of racial segregation had some influence here. Civil Rights, as a movement, was just beginning, and it would be blind of us as a society to think the movement ever came to an end. People of color, women of color, nonbinary people, people across the whole spectrum of sexuality and sexual expression, citizens of foreign origin, undocumented immigrants, indigenous people, disabled people, among other marginalized groups, continue to struggle against what was once “convention.” To be seen and heard and not pushed down as “other” by those in power who seek to maintain an outdated status quo. People like Ethel who demonize that which they do not understand. It was rather prescient for Charlotte Armstrong to write in 1956 about Ethel, “‘I don’t think she has many connections with real people,’ said Mrs. Payne. ‘That is to say, individuals. Or how could she judge them in such lumps?’” The poison is not the poison, it’s the McGuffin. Ethel’s words are the poison that nearly kills here. 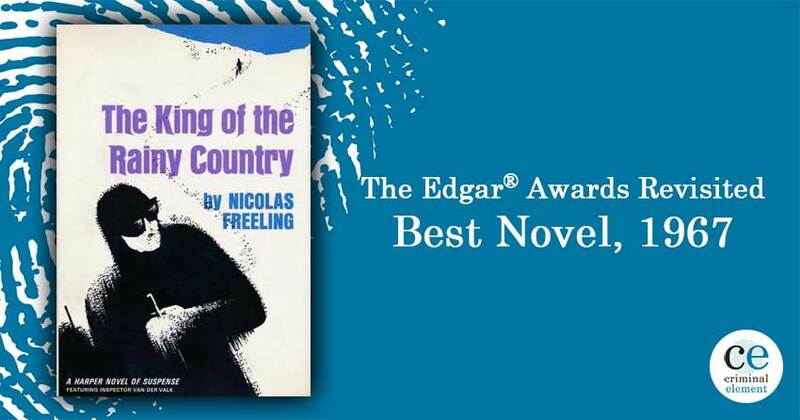 And between now and 1957, when this novel won its richly deserved Edgar Award, nothing has changed in that respect. From the television series Omnibus, the episode titled “The Fine Art of Murder” won the Edgar for Best TV Episode. Rex Stout appeared in this presentation of a homicide as Sir Arthur Conan Doyle, Edgar Allan Poe and Rex Stout would variously present it. 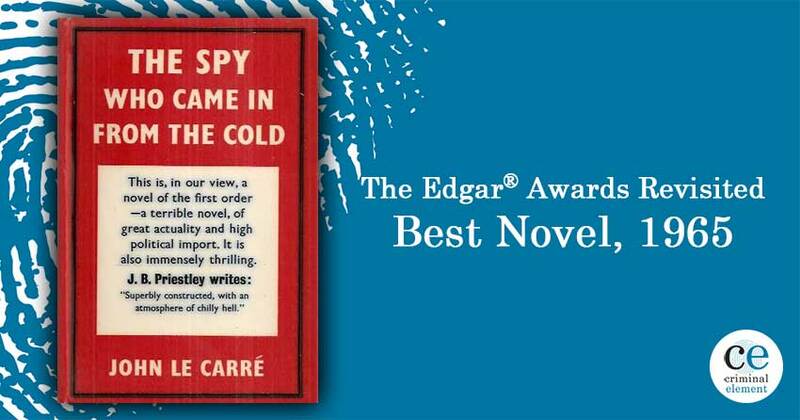 Curtis W. Casewit of the Denver Post won the Edgar Award for Outstanding Mystery Criticism. 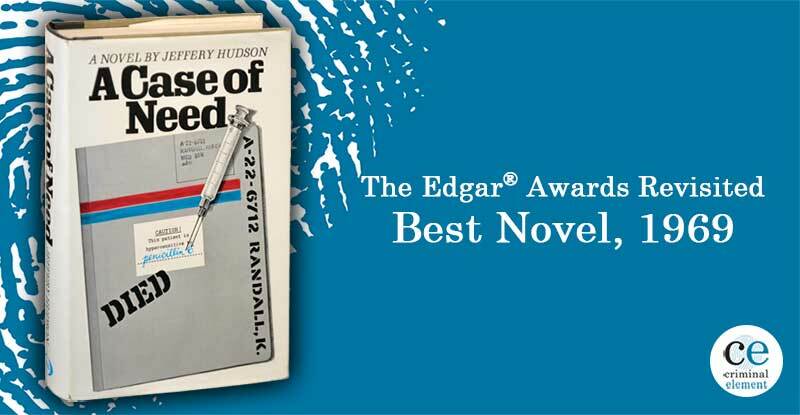 Best First Novel was awarded to Donald McNutt Douglass for Rebecca’s Pride. 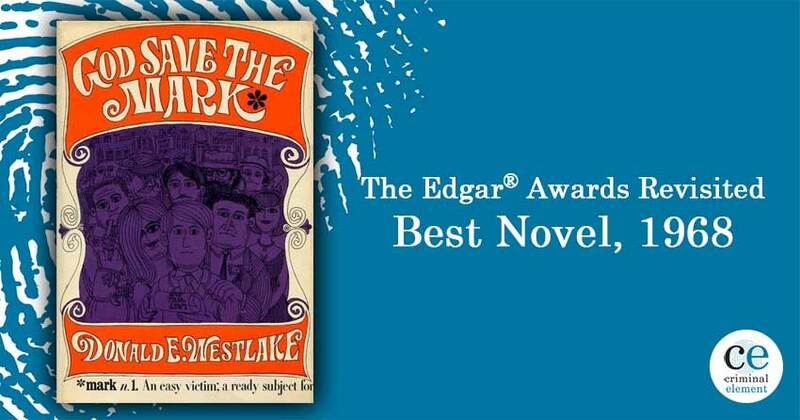 Margot Bennett’s The Man Who Didn’t Fly was the sole other nominee for Best Novel. Thanks again for joining us as we work our way through this list. Tune in next week when we discuss 1958’s Room to Swing by Ed Lacy! Find it Friday. Ardi Alspach is a writer, children's book editor, amateur pool player, and fine artist living with her very own miniature house panther named Merlin down on the Jersey shore. You can follow her on Twitter and Instagram @ardyceelaine. Great write-up. I’m glad you said this: “… in which cultural mores are very different than they were back then. Or so we like to imagine.” So true. There’s no worse mistake than a descendant generation believing we are more different, superior or specially advanced (other than technology) than a previous one or not. Loved reading your thoughts on this book.